The soft glow of these lamps will add a touch of Asia to your surroundings. Perfect for home decoration and outdoor/garden lighting (for use in dry areas). 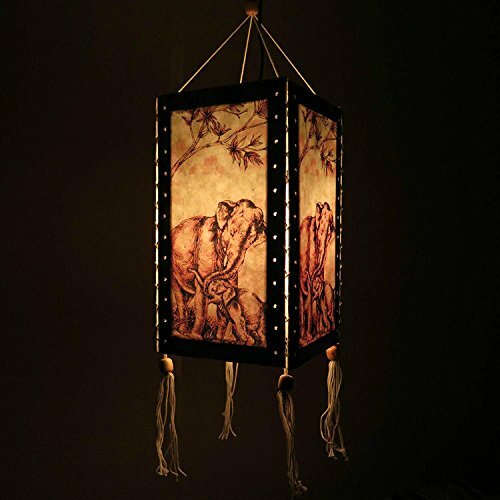 Great for Kid's Room, Living Room, Bedroom, as a night light. Ideal lighting for holidays such as Christmas, Easter, Halloween as well as Birthday parties and Wedding occasions. Great for party and home decoration, cafe, spa or holiday lighting. A great gift! If you have any questions about this product by Thai Natural Goods, contact us by completing and submitting the form below. If you are looking for a specif part number, please include it with your message.